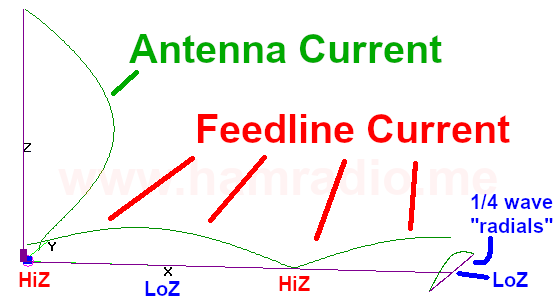 Simulations suggest end-fed and center-fed half-wave dipoles share sensitivity to various feedline lengths, but in differing and manageable ways. 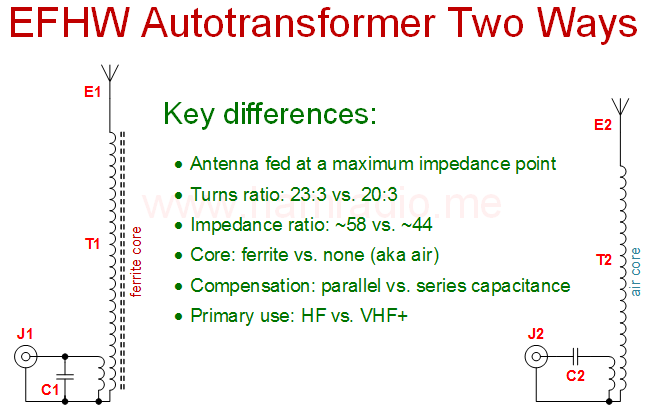 I take a moment to document observed differences between end-fed antenna autotransformers with and without ferrite core materials with a focus on the reactance compensation. 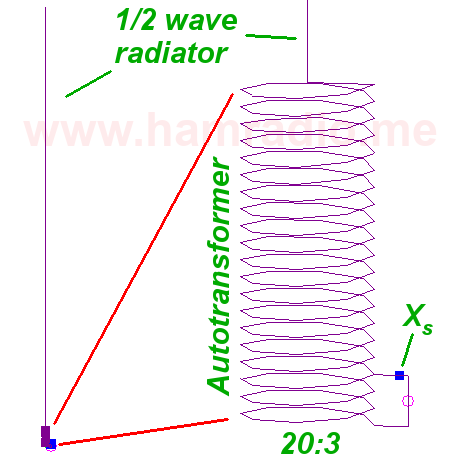 A NEC model that includes the transformer helix helps demystify the end-fed half-wave (EFHW) dipole antenna using the autotransformer as impedance converter.